We often share tips for running performance and health. Things like water intake, breathing, speed, time and distance…the list goes on and on. But here’s an even more important topic we don’t often discuss…women’s safety while running. It’s a sad truth, but all of us – especially women — are vulnerable when we go out for a run. Too often, we see headlines and news broadcasts about women who have disappeared or been hurt while out running. It’s even a recurring storyline on primetime crime dramas like Criminal Minds or Law & Order. It’s easy to say, “That would never happen to me” or “I know how I would react.” But women who have been attacked probably had the same thoughts. This is why knowledge and preparation are key to keeping yourself safe when you head out for a run. Safety isn’t about being scared. It’s about being aware and prepared so that you don’t have to be afraid. With this in mind, we have put together a list of things that you can do to maintain your comfort and peace of mind while logging your hard-earned miles. Carry mace or pepper spray – This tiny canister is very effective if you ever find yourself in a situation where you need it. It can stop an attacker in their tracks and most importantly, gives you time to get away and find help. When you are shopping for pepper spray, look for that’s easy to carry. Some brands include Velcro so you can keep it right in your hand while you run without a need for pockets. Know where you’re going – Plan your route before you leave the house. The idea of just going wherever your feet take you is nice, but it’s not the most practical. Choose routes that keep you in safe neighborhoods or public parks with open spaces and good lighting. Be aware of the time – Depending on where you live, early morning and late nights may not be the best time to head out for your run. Not only are you more visible when it’s light out, but so are your surroundings. Also, pay attention to when the sun sets if you’re going out in the evening after work. It may be just fine when you leave the house, but once the sun starts going down it can get dark very quickly. Make sure you aren’t only halfway through your run before you’re surrounded by darkness. Wear reflective clothing – If you are running on the road, as many of us do, make sure you’re visible. Fast moving cars can’t see you as easily as you can see them, so help out and wear things that catch the eye of people driving. 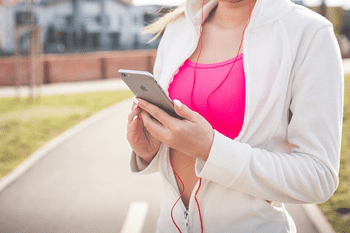 Carry your cell phone – Keeping your cell phone on you when you go for a run is beneficial for many reasons. You can use it to call for help for yourself or someone else in need of assistance. If something were to happen, this is also a way that you can be located. Tell someone your plans – Make sure that you tell someone your plans. Even mentioning to a coworker that you’re going for a run after work counts. Include the “where” in your plans, just saying you’re going for a run is kind of vague if nobody knows where you are. Run in a frequented public place – Run at a fitness facility, school track, or other places where you find people. Even if there aren’t people on the track with you, there are other people around who are paying attention to what’s going on. Take advantage of at-home fitness – Having a treadmill at home eliminates the need for additional safety measures. 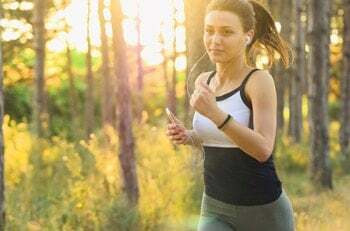 You can get all of the benefits of running without any of the added stress. Interactive features on your treadmill mean you don’t need to sacrifice views or terrain when you stay home. 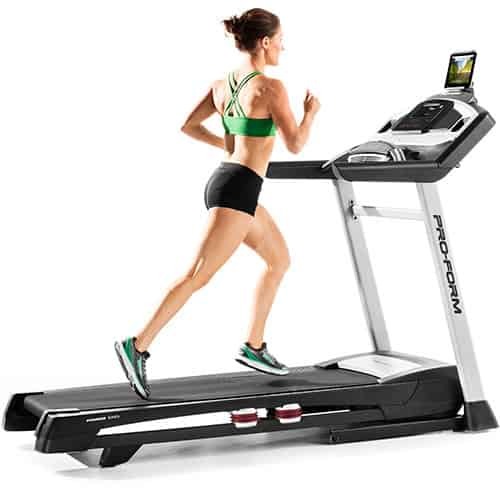 iFit, found on NordicTrack and ProForm treadmills, contains video routes from all over the world. You can choose from a mountain trail or a white sand beach. Plus, the machine automatically adjusts your speed and incline to simulate the terrain of any location you choose. Don’t run in really rural areas – Rural areas tend to be much more sparsely populated which means there is often no one else around. This is nice if you want to avoid traffic, but it also means you are much more isolated and farther from help if you need it. On the flip side, also be careful when running in high volume traffic areas. Pay extra close attention to traffic signs, signals and crossings when you are surrounded by a large amount of cars. 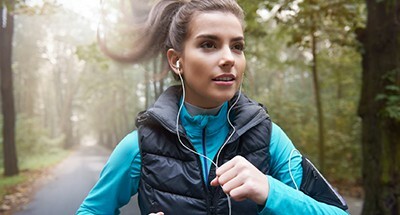 Don’t listen to loud music – When you’re running, it’s super important to be able to hear what’s going on around you. Wearing headphones blocks out noise that provides you with very important information. Not only do you want to be able to hear someone coming up behind you, but you need to listen for car horns and sirens at all times. Run with a partner or in a group – Check out Facebook and see if there are any groups that meet up to run together in your area, or start a group of your own with your friends. Running in a group is not only safer, but can be incredibly motivating. You can push one another and celebrate your victories at the end of your workout. ProForm SMART Power 1295i – Read our full review here. Be aware of your surroundings – This is probably the most important tip and really sort of what it all boils down to. The idea of being able to shut off your brain and just zone out isn’t one that you can afford to embrace. Safety when running is really about being aware of what’s going on. If you notice something suspicious or get a weird feeling from something or someone, change course and get away from it. If you maintain awareness you have a much better chance of avoiding dangerous situations. Next time you’re headed out, just remember the tips above and leave your house feeling confident. It’s always better to be prepared. Hopefully, your runs will continue to be uneventful and fulfilling.